Sandra Ann Winters’ poems are refreshingly direct, heroic in their address of the issues at the heart of the human condition. A natural empathy for the ‘individual journey’ is leavened by a superb mastery of her chosen craft, what Joyce calls ‘a scrupulous meanness.’ Her experience of growing up in rural North Carolina along with her extensive travels in Ireland bring a unique dimension to a poetry that transcends geographic and socio-cultural divides. How she unpeels the masks that would distract us from an assessment of our true selves is quite unique in modern poetry. A most welcome and timely addition to the canon of Irish poetry. Sandra Ann Winters is an American poet, and frequent visitor to Ireland. She owns a home in Millstreet, County Cork, where she regularly spends time reading and writing. From 1986 to her retirement in 2010, she served as a lecturer of English and Irish literature at Guilford College in Greensboro, NC. She is author of a previous poetry chapbook, Calving Under the Moon (Finishing Line Press, 2013). Her poems have won a variety of awards. “Death of Alaska” won the 2011 Gregory O’Donoghue International Poetry Competition. The editors of the North Carolina Literary Review nominated “Water Signs” for the 2011 Pushcart Prize. “Talking to Okra” won first place in the 2012 Carteret Writers 21st Annual Writing Contest. Her poems have been finalists in the 2012 Randall Jarrell Poetry Competition, the 2011 Press 53 Open Poetry Award, the 2010 Rita Dove Poetry Award, and the 2010 Inkwell Journal poetry contest. 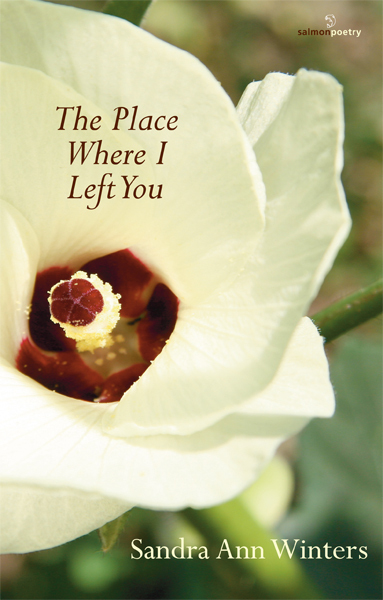 She received an Honorable Mention in the 2012 Deane Ritch Lomax Poetry Competition. 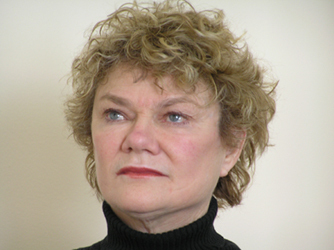 Sandra Ann Winters’ poems have appeared in the Cork Literary Review, Southword, the North Carolina Literary Review, and others. I could not hear, disappeared the day my son left." rock built on rock, softened by the sweet smell of tea and rain." "How often things quit, break down. to the red coils, glowing."